Avoiding the Mistrial - В сложной финансовой ситуации приходит на помощь кредит наличными в Казахстане. If you prevailed at trial, there is nothing worse than a mistrial. Talking about taking the wind out of your sails. It happens. Unfortunately. Boyles, Personal Representative vs. Dillard’s Inc., 41 Fla.L.Weekly D1709a (Fla. 1st DCA 2016), is a case where the defense prevailed, but on appeal, the court granted a mistrial for multiple (or cumulative) reasons, only two of which will be discussed below. Both reasons, however, could have been avoided. [B]ecause the inadmissibility of appeal to non-record evidence during closing arguments is such a fundamental and longstanding canon of trial practice and ethics, codified in rule 4-3.4 of the Rules Regulating the Florida Bar, defense counsel’s violation, if not intentional, was at least grossly reckless, particularly because it was committed during closing arguments, when such improper statements are especially likely to inflame the minds and passions of the jurors so that their verdict reflects an emotional response . . . rather than the logical analysis of the evidence in light of the applicable law. Boyles, supra (internal quotations omitted). 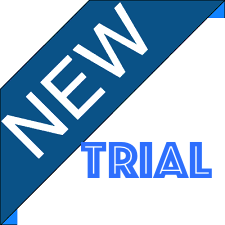 Second, and another basis for a mistrial, during voir dire, the plaintiff read a standard jury instruction to the venire (jury pool) and essentially asked whether anyone would have a problem applying the law. The defense objected and the trial court precluded the plaintiff from asking a potential juror about the jury instruction. The appellate disagreed: “[D]enial to counsel of the opportunity to question prospective jurors on their ability to follow the law constitutes abuse of discretion and is grounds for a new trial.” Boyles, supra (internal quotations and citations omitted).